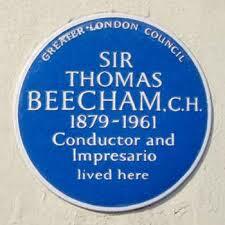 Sir Thomas Beecham had a predilection for North-west London, St John’s Wood in particular. In 1910 he and his first wife Utica took a fifteen-year lease on 32 Upper Hamilton Terrace (since demolished and now 121 Hamilton Terrace). The marriage was crumbllng however and Beecham made over the lease to Utica a year later and moved out. Durng the ensuing years, Beecham, always on the move, had flats successively in Abbey Lodge on Park Road and Bell Moor on Hampstead Heath, when he was not to be found in a variety of London hotels. The flat at Bell Moor was demolished by a bomb while Beecham was in America, where he married his second wife the pianist Betty Humby. On their return to the UK during the height of the blitz, they moved in to Betty’s parents’ house at 16 Wellington Road, where her father Dr. Morgan Humby had a dental practice. They were not there long because the V1 and V2 bombs forced them into the country until the war was over. In the autumn of 1946 they were back, living at 39 Circus Road, where they stayed for 2 years, before moving to be near Glyndebourne where Beecham was working. The winter of 1950/51 saw them return to London, where, at 31 Grove End Road, a house which they found small, cramped and which was over-stuffed with valuable furniture and paintings, but where they stayed for 4 years. 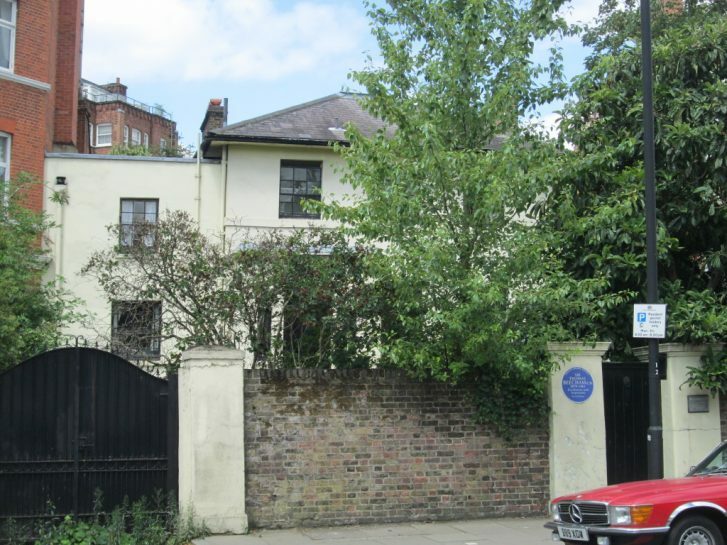 It bears a blue Heritage plaque to Beecham and was just a stone’s throw from the Abbey Road Studios where Beecham spent much of his working life. It is said that, during his career, Beecham played more sessions there than anyone else in the history of the Studios, the Beatles included. In search of more space, they again moved to the country before emigrating for tax purposes to the south of France in 1957. Betty died in 1958, but nearing his ’80s Beecham was still working and he and his third wife Shirley were back in London at a flat in Harley House, where he died from a viral pneumonia in March 1961. 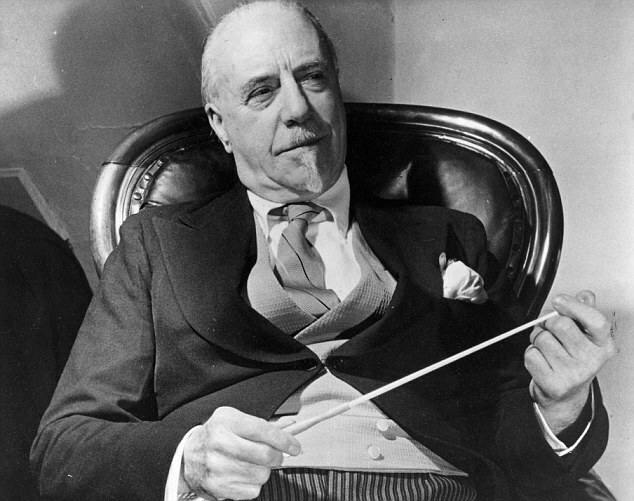 Beecham had few close friends in the music profession. It is likely that, during his time in St John’s Wood after the 2nd World War, he had llttle if any contact with other eminent musicians living in the Wood, such as Myra Hess (who referred to him as ‘that womanizer’ and who was living in Cavendish Close), Harriet Cohen who was at 1a Abercorn Place, or even his protégé and colleague Eugene Goossens who had a flat at 70 Hamilton Terrace. When he was not rehearsing, giving concerts, making records or travelling the globe, he devoted his time to studying and editing his scores, work whose seriousness is often not appreciated by those more interested in his picturesque life-style. This page was added on 23/12/2017.